A structurally sound roof is essential for protecting your home and your belongings from water damage. If your roof is in good shape, it probably looks smooth, with the shingles lying flat and with no bulges. If the roof is buckling, however, you might have a problem. Having more than one layer of shingles can result in buckling. A structurally sound roof is essential for protecting your home and your belongings from water damage. If your roof is in good shape, it probably looks smooth, with the shingles lying flat and with no bulges. If the roof is buckling, however, you might have a problem. 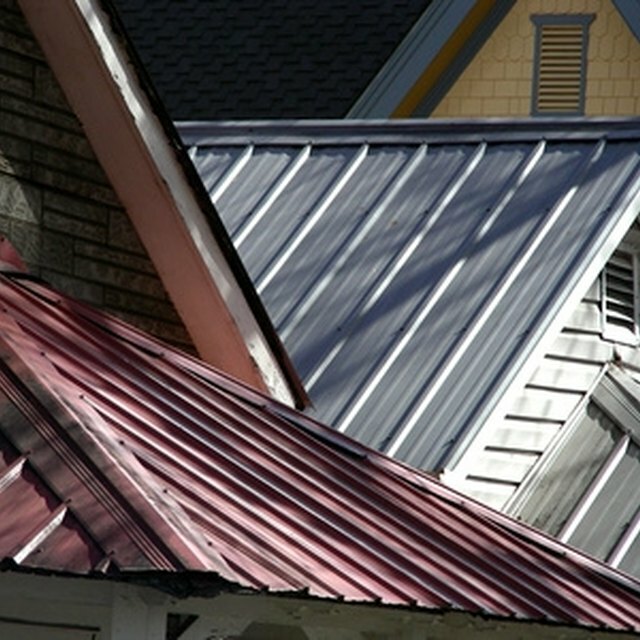 Some roof variations may be the result of poor workmanship, while others might indicate a structural problem. Today, most local building codes restrict the number of shingle layers on a roof to one or two. Older homes, however, may have three or four layers of shingles, which puts undue stress on the roof’s structure in addition to making the roof look a little lumpy. After the roofing contractor installs the large sheets of plywood, or sheathing, over the rafters, he will quickly cover the sheets with moisture-resistant felt paper and then install the shingles. If the plywood gets wet, it can swell and expand, causing the sheets to buckle, usually at the seams. Your roofer should allow a small space between each sheet to allow for minimal expansion, but if the plywood gets wet, it can still warp. Hot air can become trapped beneath your roof if the attic isn’t properly ventilated. In humid locations, hot moist air can penetrate the underside of the plywood sheathing, making it expand from beneath. This can result in a wavy roof. Asphalt shingles depend upon warm outdoor temperatures in order to seal down properly. Most of the time, even if you install the shingles during the winter, a sunny day will warm the roof enough to seal the shingles. However, if cold cloudy weather persists, the shingles may curl slightly and when warm weather arrives, the shingles will no longer lay flat and seal. Less common buckling problems might be due to using the wrong nails to attach the sheathing to the rafters. In this case, the heads of the nails can work out of the sheathing, creating small bumps that might be visible on roof’s surface. In other cases, the roof might have a structural issue, such as a broken rafter that isn’t supporting the plywood, which then sags and creates a dip in the roof’s surface. Roofs are expensive, and if your new roof buckles despite having only one layer of shingles, contact your roofing contractor as soon as possible to discuss the problem. To reduce the risk of buckling when re-roofing, tear off the existing shingles before installing the new ones. Replace missing shingles promptly to reduce water damage to the sheathing beneath. Service Magic: Can I Layer Shingles on My Roof?